Europa 2 is for German passengers, so the food must be all about sausages, sauerkraut, and currywurst… right? Both assumptions are very wide of the mark, as GARY BUCHANAN discovers. 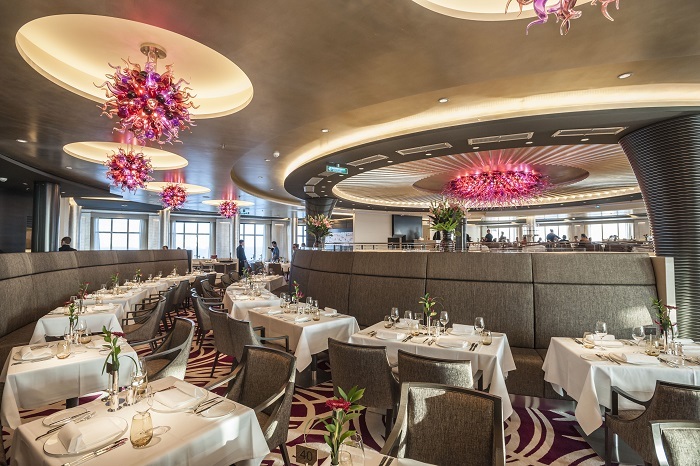 The luxurious ship is seeking to attract international passengers, and the wide range of restaurants – catered for by no fewer than 60 chefs – offers the very finest fare. 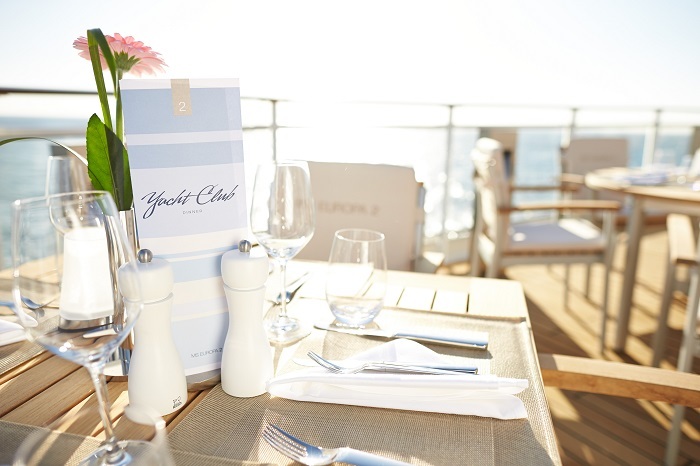 The luxurious ship is seeking to attract international passengers, and the wide range of restaurants – catered for by no fewer than 60 chefs – offers the very finest fare. In their remorseless quest to be pacesetters, many cruise lines with high-end speciality restaurants have turned their back on classic cuisine. Now it seems the food of choice is fusions of this and mélanges of that. Salads have to be deconstructed, line-caught fish has to nestle on a compote, and soufflés must be twice-baked. Fortunately I was recently reacquainted with the cuisine served aboard Hapag Lloyd Cruises’ Europa 2 where menus uphold the premise that if the prose is purple, the food is overrated. While there is no disputing that the cuisine on Europa 2 is presented as delicate on-plate architecture; menus can be understood without a degree in pretension and food is unsullied by unsuitable marriages between incompatible cuisines. To get a better appreciation of how Chef Ohlemann and his team of 60 chefs create their epicurean delights aboard this 500-passenger ship, I was invited for a glimpse behind the scenes. It became immediately evident that the work in the galleys is an incredible process of coexistence and mutual respect; it was a scene far-removed from the images of foul mouthed chefs in Hell’s Kitchen that are familiar on our television screens. The classic positions in the main galley were hives of activity: Saucier, Poissonier, Entremetier and Patissier. I was intrigued by the sous vide equipment and the Executive Chef sang its praises, explaining the deployment of modern techniques and equipment achieves better results in terms of taste and appearance, and thus gets the best from the product. I then took one of the two escalators that link the main galley with the largest restaurant on board. 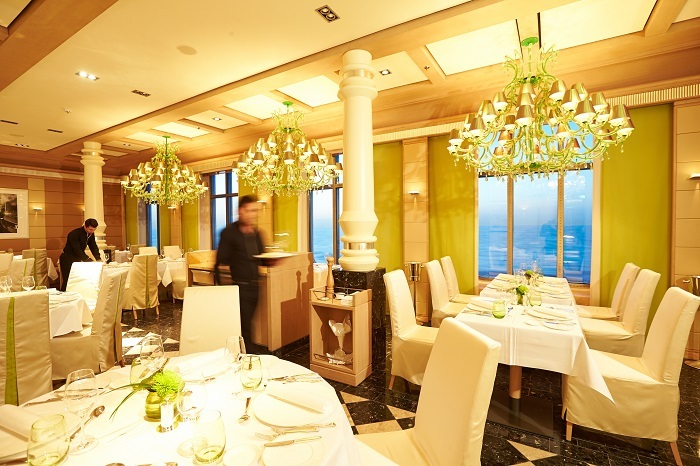 The Weltmeere is a stunning circular room with soaring ceiling adorned by modern Murano glass chandeliers. 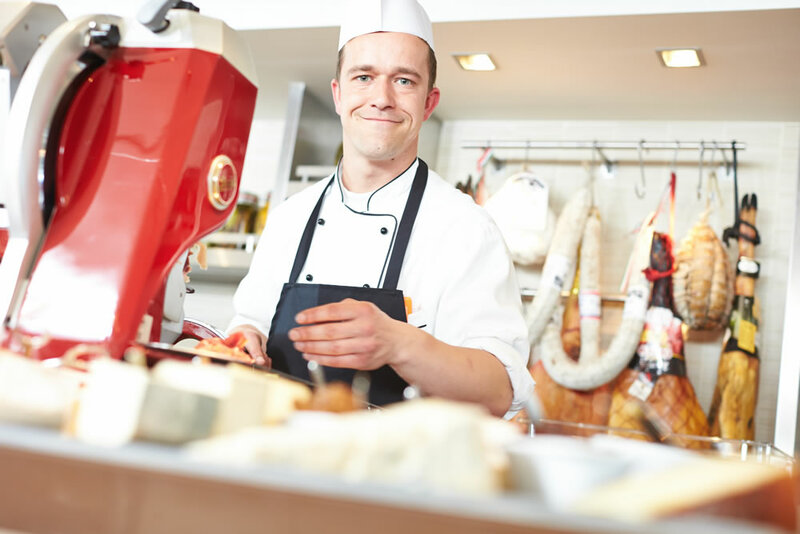 Here Chef Ohlemann explained that menus, which change daily, feature a cuisine légère (light cooking) vegetarian selection as well as more classical options. When I asked him to highlight his modern interpretation of classical stalwarts he thought for a moment then said, “Some classic recipes cannot be improved and will remain true to their origins, but I also feel that some dishes can benefit if they’re given a little twist.” He cited as an example Dover sole which, “We poach then serve as a roulade, rather than just grilling it.” The Executive Chef then enthused about the restaurant’s signature dish – Slice of Tender Matured Piedmontese Tenderloin on Ragout of Oxtail with Tomato-Eggplant Compote and Truffle Flavoured Potato Foam. Ohlemann’s flavour combinations and presentation skills are undoubtedly a reflection of his culinary ability. Simplicity is indeed the key, and for seven nights I savoured some of the most delicate, yet flavoursome cuisine on the high seas. Three speciality restaurants complement the Weltmeere, each has its own small galley and dedicated chefs– but no extra cover charge. TheFrench influenced Tarragon glows softly with a warm light from Art Deco orbs. 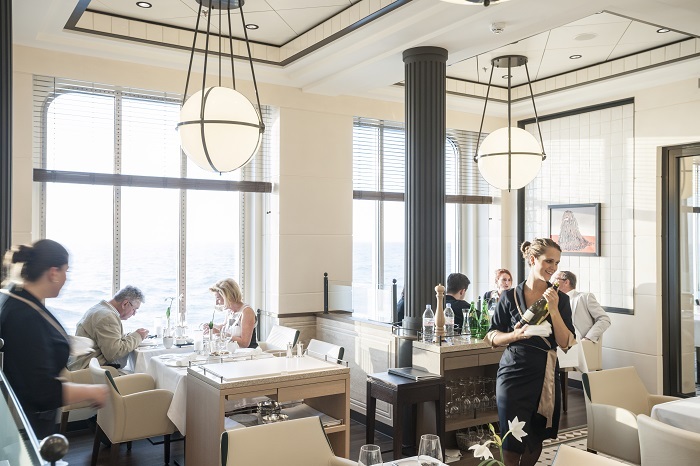 There’s a lighter bistro-style menu at lunchtime, while in the evening classic brasserie cuisine offers flavours and textures that are more than the sum of their parts. Chef de Cuisine Udo Grigas imbues his culinary joie de vivre into the four chefs which was immediately evident when I relaxed over a leisurely lunch and indulgent dinner. I’m a great believer that seafood should be simply threatened with heat and then celebrated with joy; and the perfect Cauliflower Mousse with Char Tartar and Crayfish Tails proved a perfect overture to Turbot Provençal with Braised Tomatoes and Herbed Mashed Potatoes. In Elements the three dedicated chefs prepare menus that are inspired by classic dishes from China, India, Indonesia, Japan, Philippines, Singapore, Thailand and Vietnam. There’s no reticence with authentic spices which are combined with quality produce to create ideal combinations of delicacy and panache. I enjoyed Sweet and Spicy Cucumber Salad with Young Coconut, Pomelo, Sesame and Thai-style Dressing; Carrot and Papaya Strips with Lobster in a Tamarind Dressing; Red Snapper on Pumpkin Curry with Mild Line-Chilli Sauce; rounded off with a Honey-Coconut Crème Brûlée with ChocolateCinnamon Sorbet and Marinated Mango. If this Oriental indulgence was profane then my night in Serenissima was sacred. With lime-green Murano chandeliers and marble flooring the stage was set for bountiful Tuscan treats. The recommendations from the charming maitre d’ did not disappoint. The Marinated Pulpo with Mozzarella, White Beans andTomatoes ticked all the right boxes, as did the Home-Made Ravioli Stuffed with Ricotta Cheese and Spinach, with Dried Tomatoes and Mussels. I just had to sample the Serenissima speciality of Tagliatelle with prawns, Olives, Tomatoes, Garlic, Chilli and Olive Oil; before concluding with a divine Chocolate Parfait with Mocha and Grated Chocolate. For a complete change of scene one night I made a reservation at Sakura, the bright and airy Japanese restaurant. 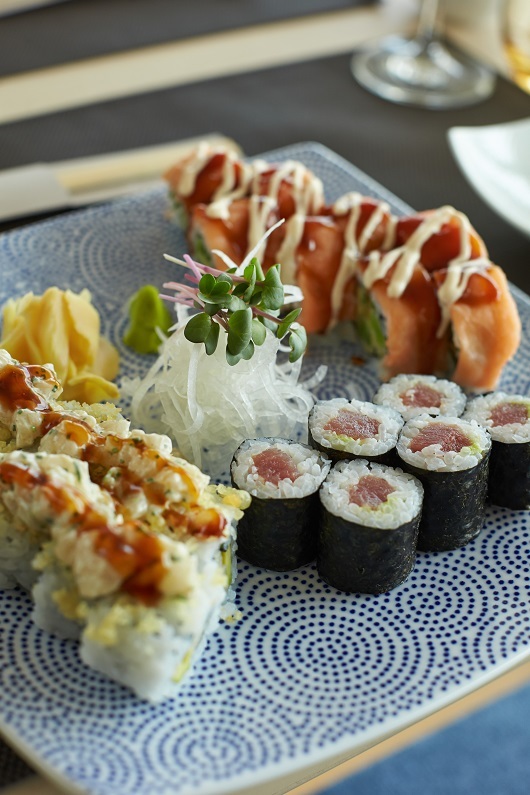 Sitting at the Sushi Bar, Chef Vaibhav Shingre prepared colourful California-style ‘Rainbow Rolls’ of Hamachi, Tuna, Salmon, Baked Asparagus and Spicy Teriyaki Sauce in front of me with more than a soupcon of pizzazz. I then sampled the ‘Asia Salmon Shot’ which is the featured recipe in this article. Once every cruise Europa 2 offers a Caviar Night when up to 14 kilos of the ‘black gold’ are served; nowhere is it more bountiful that on the lavish seafood buffet in the Yacht Club, the popular indoor-outdoor buffet where I enjoyed leisurely breakfasts, lunches and dinners. In similar vein to the rest of the culinary offerings on board Europa 2, this horn of plenty is an allegory for this ship’s unswerving commitment to providing unsurpassed cuisine where nothing is deconstructed or reposing on a compote.